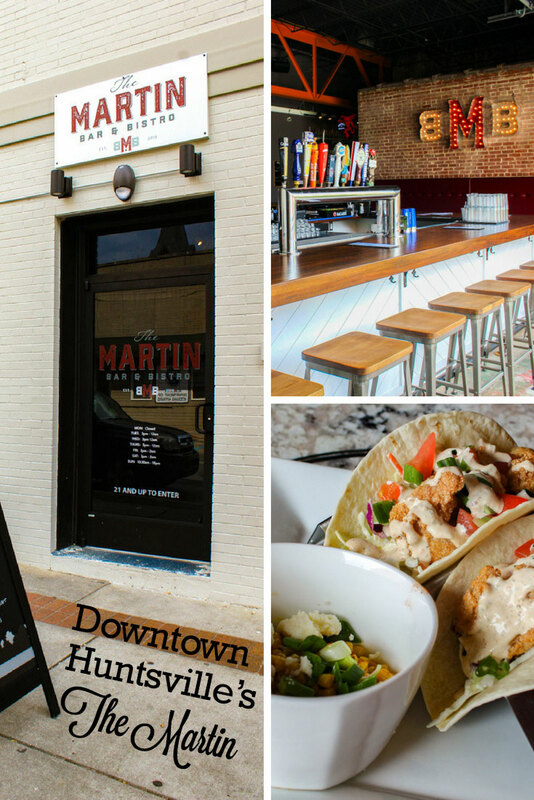 The Martin Bar & Bistro Serves Up Food, Fun, and Downtown Views! 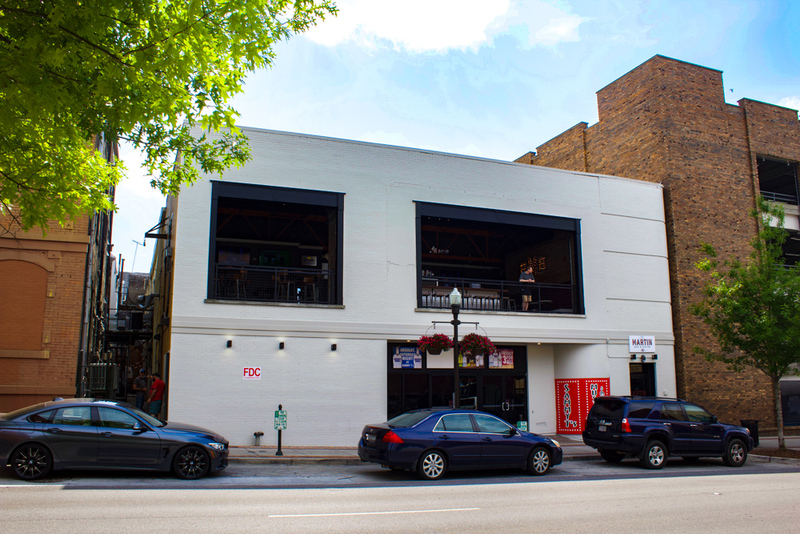 For weeks, Downtown Huntsville Inc. sent out teasers on its social media about the construction happening above Sammy T’s Music Hall on Washington Street. Now, the new addition to the neighborhood is open and ready for business. 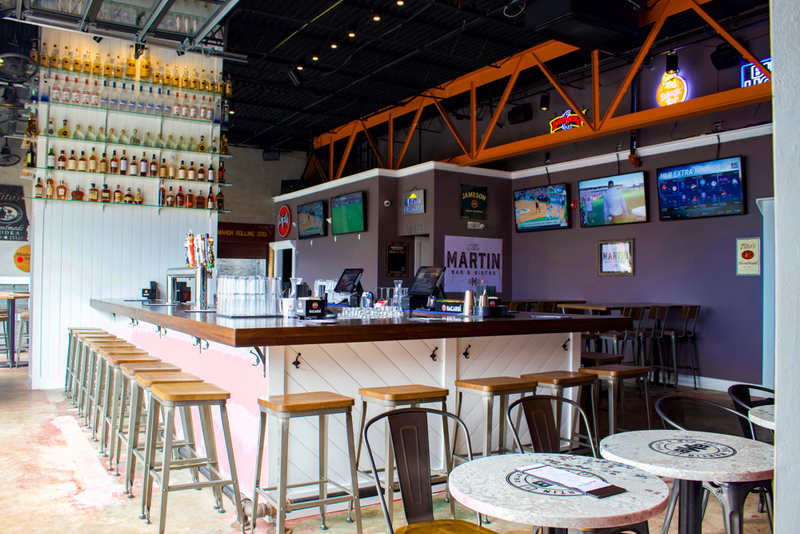 Welcome, The Martin Bar & Bistro! With a menu that covers everything from cheese curd appetizers and soup to signature sandwiches, flatbreads, and tacos, there’s something for everyone at the trendy bistro. There’s also a selection of signature cocktails, like the delicious “Bahama Mama” that combines orange and pineapple juice with Bacardi Coco Rum, Bacardi Rum, and Grenadine. Delicious! And if you’re more of a wine or beer drinker, you’re in luck! 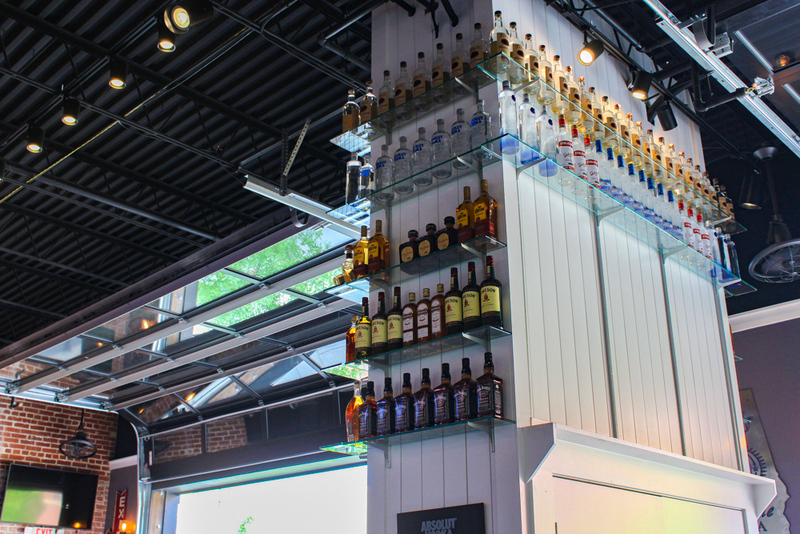 The Martin has a selection of beer on tap and a carefully selected wine list that will pair perfectly with your meal. Atmosphere is everything at The Martin, and many people visit just for the view alone. Its urban vibe perfectly matches the location in the heart of downtown, and the front walls are actually large garage doors that remain open when weather permits. 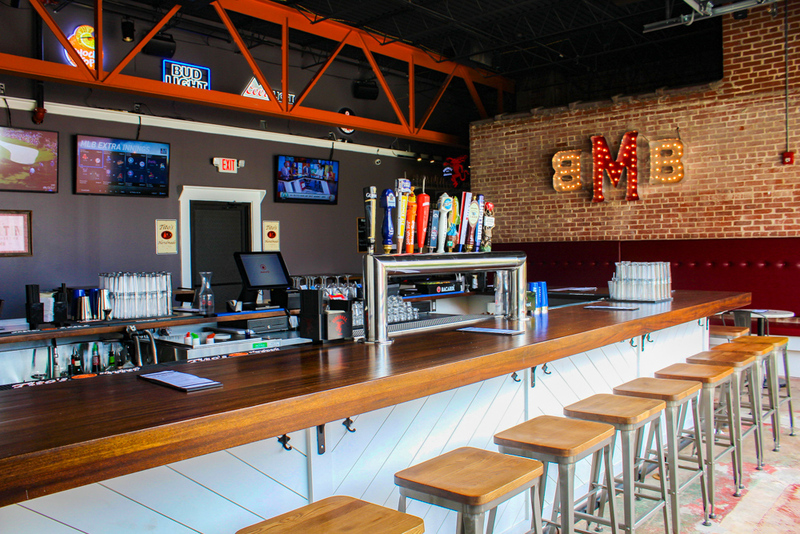 Combine its exposed brick wall, 18-foot ceilings, big screen TVs, and an ornate logo that lights up the space and you get the full experience of Huntsville’s energetic nightlife. But The Martin is also a place you can enjoy during the day. The restaurant opens at 3 p.m. Tuesday through Saturday with Happy Hour starting at 5 p.m. In some ways, this is the perfect time to go because the afternoon light streams in and the sounds of a busy workday ending can be heard below. This gem will soon be on everyone’s radar; they have only been open a little over a week! But when Happy Hour begins, downtown residents and workers begin to file in to enjoy the sunset hours at The Martin’s island bar. As far as the food goes, everything is fresh and crowd-pleasing. If you’re looking for the ideal Taco Tuesday option, say no more! 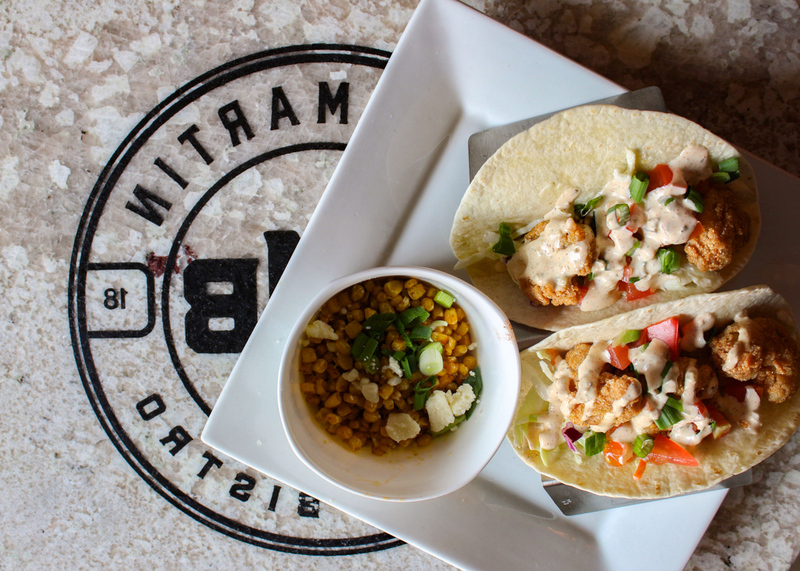 The Shrimp Tacos are delicious and served with a white cream sauce, cabbage, and a side of corn. It even has a spicy kick to it—perfect with one of the on-tap beer selections. So, there you have it! 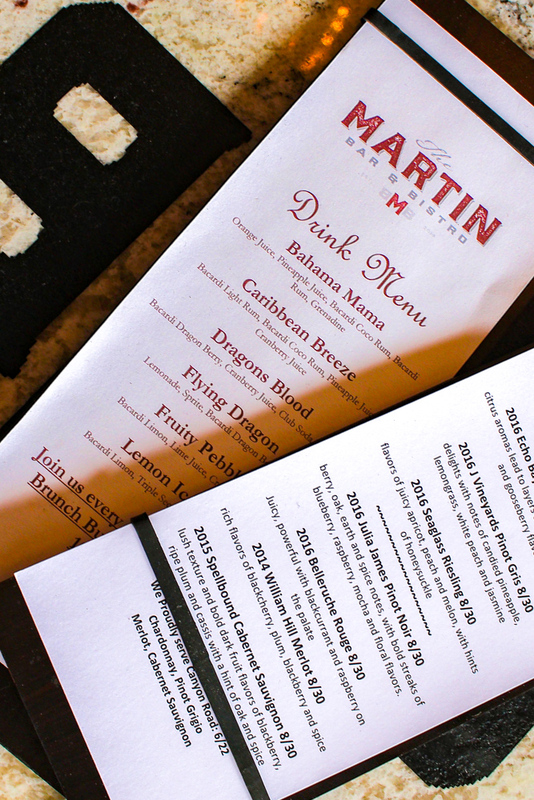 If you haven’t had a chance to visit The Martin Bar & Bistro, be sure to head down this weekend. As downtown continues to evolve, it’s great to see unique venues like this one that offers quality service, food, and a memorable atmosphere. Be sure to like The Martin Bar & Bistro on Facebook here. 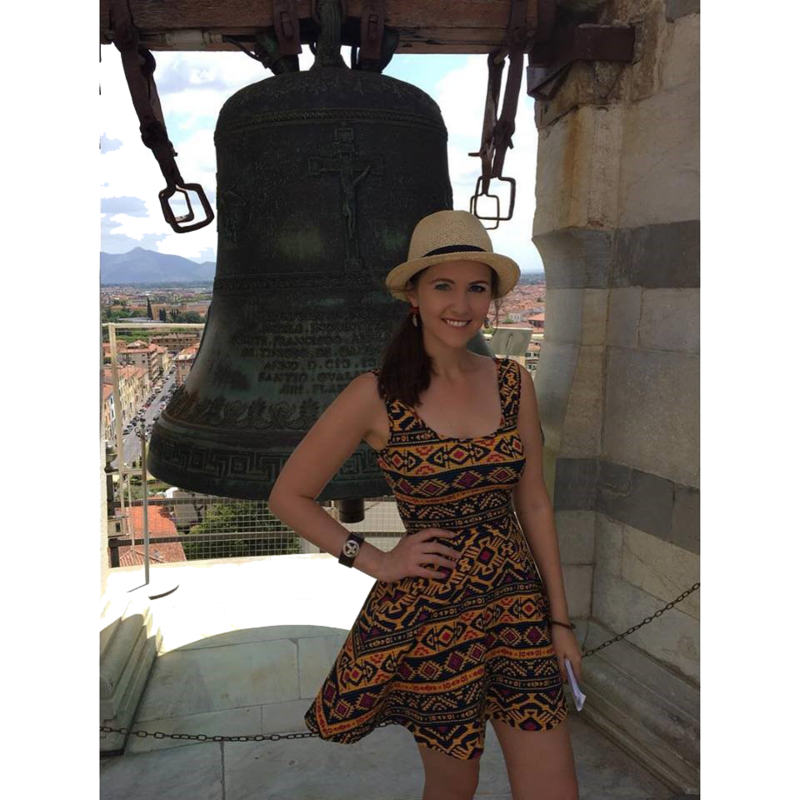 Friday – 3:00 p.m. – 2:00 a.m.
Saturday – 3:00 p.m. – 2:00 a.m.
Sunday – 10:30 a.m. – 11:00 p.m.